At this point, Ms. Elena steps back and the children take up a new direction for the play. She continues to listen for ways to build on the children’s interests and reinforce their weekly focus words during the session without interrupting their play. Monkeys play. Dogs play. Rats play. Even octopuses play. And without any instruction, children of all races and genders, in all cultures of the world, invent and reinvent play in every generation. Something this ubiquitous must provide evolutionary advantages to both animals and humans. Decades of research suggest just that. In particular, free play and guided play—together known as playful learning—are pedagogical tools through which children can learn in joyful and conceptually rich ways, as is evident in the opening vignette. Brain science research in animals has left clues along a path that may begin to reveal play’s human biological underpinnings, but more research is needed to investigate why play promotes learning and development. Perhaps the most striking finding about play comes from research with animals in which play—specifically, rough and tumble play—has been shown to promote early brain development. When young rats play, their brains become primed to be more adaptable in later life (Pellis, Pellis, & Himmler 2014), especially with social skills and executive functions (e.g., attention, memory, and planning). Indeed, findings suggest that playful rats act more appropriately in social situations than rats that do not play (Burgdorf, Panksepp, & Moskal 2011). These findings offer a potential model of how play may help develop children’s social functioning and brain architecture. Javon is mentally active when he thinks about where he learned the name of the place where chickens sleep and then uses the word coop appropriately. Sara is engaged when she chooses to be the cow and moves in concert with Javon and Ashish instead of being distracted by other groups at play. Ms. Elena made the word coop more meaningful for the children by making a connection to when the children visited Maple Farm. Finally, the children were socially interactive when they built a play scenario that involved all three of them, with Ms. Elena joining in as a scaffolder. These kinds of playful interactions between children and adults may be essential for creating the kind of supportive social environments necessary for healthy social and emotional development. Guided play in particular features this type of social interaction and has demonstrated promising outcomes for learning and development. Today, most researchers agree that play is fun, flexible, voluntary, and intrinsically motivated; it involves active engagement and often incorporates make-believe (Sutton-Smith 2001; Pellegrini 2009; Fisher et al. 2010; Lillard et al. 2013). Guided play maintains the joyful child-directed aspects of free play but adds an additional focus on learning goals through light adult scaffolding (Weisberg et al. 2016). It offers an opportunity for exploration in a context specifically designed to foster a learning goal. As such, it features two crucial elements: child agency (the child directs the learning) and gentle adult guidance to ensure that the child progresses toward the learning goal. Research suggests that guided play is a successful pedagogical tool for educators in a variety of areas (Weisberg et al. 2016). Here, we outline some examples of how guided play can work in the classroom to build specific language, mathematics, and spatial skills. 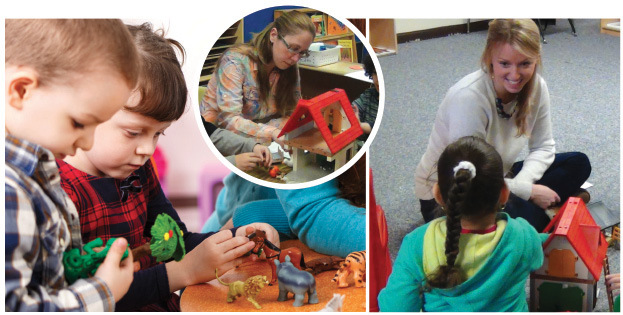 Guided play features child agency and gentle adult guidance toward the learning goal. Guided play is a model setting for language learning. For example, infusing vocabulary instruction in guided play fosters word learning for preschoolers, especially those from disadvantaged backgrounds (Toub et al. 2016; Han et al. 2010). One study tested the effectiveness of word learning through guided play against a more teacher-directed learning activity (Toub et al. 2016). All children participated in shared book reading and then reviewed half of the vocabulary words through guided play and the other half through a picture card word-recall activity. The guided play resembled the learning taking place in the opening vignette. After play-based word learning, children defined the target words more readily than they did after picture card-based word learning. Guided play is also effective for fostering spatial skills—important in and of themselves and also tied to later mathematics success (Verdine et al., forthcoming). For example, a study with preschoolers (Fisher et al. 2013) compared children’s ability to learn about geometry and shapes through guided play, free play, and direct instruction. In the guided play condition, the adult followed the children’s lead and scaffolded the interaction. Children learned more about geometry and shapes than those participating in either the direct instruction condition, where the children listened passively while the adult delivered the content in a fun way, or the free play condition, where children interacted with the shapes in whatever way they wished. Ms. Elena wove the definition of a square into the children’s play without taking over, but she also encouraged the children to push themselves to make an important discovery about the shape tiles. Guided play allows teachers to piggyback on children’s joy and engagement to reinforce important skills. Guided play represents an enhanced discovery approach to learning that increases children’s knowledge through opportunities to receive immediate, meaningful adult feedback (Alfieri et al. 2011). It is also an ideal example of an active, engaged, meaningful, and socially interactive learning context (Hirsh-Pasek et al. 2015). Consider, for instance, children playing with a shape sorter. The children discuss how to insert the shapes so that the sorter lights up. They keep inserting shapes and notice that sometimes the sorter lights up and sometimes it doesn’t, but they can’t figure out why. Their teacher joins in and makes some gentle guiding suggestions to help them by asking what the children have already tried and what they could try next. As children incorporate this feedback while continuing to experiment, they generate hypotheses and draw causal connections, becoming little scientists. Play helps children discover causal relationships through this type of informal experimentation (Schulz & Bonawitz 2007; Gopnik 2012). And light scaffolding, when needed, prevents frustration and enables the children to engage in longer periods of playful experimentation. Think about preparing to make a pizza. You gather the dough, sauce, cheese, and toppings. You also get out the required tools: rolling pin, pizza stone, and pizza cutter. In this way, you have prepared yourself and your workspace for the task at hand. Similarly, a psychological mise en place—a readiness to anticipate events and explore an activity (Weisberg et al. 2014)—helps children prepare their minds to embrace learning experiences in a positive way. Ms. Elena cultivated such a mise en place through her inclusion of farm-focused play activities. By preparing the play environment in service of her pedagogical goal—the children learning the focus words—Ms. Elena allowed children to work toward this goal in their own playful way. This type of gently scaffolded, playful learning fosters children’s desire to seek out similar meaningful learning opportunities (Weisberg et al. 2014). Guided play increases children’s knowledge through immediate, meaningful adult feedback. Imagine a different week in Ms. Elena’s classroom. 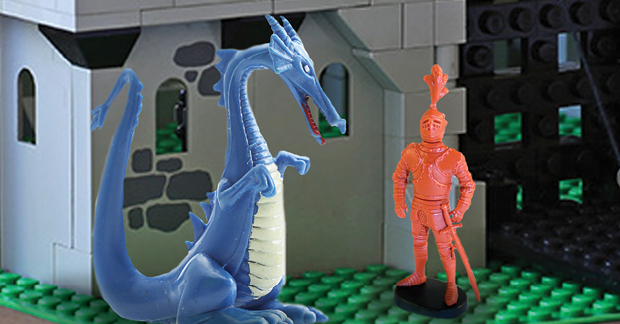 She sets up one center with a castle play set that mirrors a book read during that week’s storybook theme of knights and dragons. The prepared play set encourages children’s organic use of the theme’s vocabulary words while playing—words like talons and nostrils. Ms. Elena can then draw attention to these words and help children make meaningful connections to them. This type of adult support during guided play may be the mechanism through which children’s fledgling proactive control mechanisms emerge (Weisberg et al. 2014). Using a prepared play environment to foster a mise en place—a readiness to anticipate events and explore an activity. The bottom line is that play is ubiquitous across species, and it likely has a significant role in many aspects of human development. Though behavioral research is still unfolding (Lillard et al. 2013; for a rebuttal, see Weisberg et al. 2013), evidence is mounting that guided play scaffolds young children’s development and that it might prime critical neural mechanisms to make healthy adaptations (Weisberg et al. 2014). It also helps children develop an understanding of how the world works (Gopnik 2012). To deepen our understanding, research investigating play’s biological foundation in children is urgently needed. This research could prove particularly important for developing interventions to assist children from vulnerable populations, such as those from low socioeconomic-status backgrounds, children with disabilities, or children experiencing stress or trauma. As we await new discoveries from brain science, one finding is already clear: Play is a wonderful metaphor for active, engaged, meaningful, and socially interactive learning. And, as two of the authors of this piece described in their book, Becoming Brilliant: What Science Tells Us About Raising Successful Children, play also prepares children to become social, caring, thinking, and creative citizens (Golinkoff & Hirsh-Pasek 2016). In fact, many researchers and teachers now concur that the “child-driven educational methods sometimes referred to as ‘playful learning’ are the most positive means yet known to help young children’s development” (Lillard et al. 2013, 28). Alfieri, L., P.J. Brooks, N.J. Aldrich, & H.R. Tenenbaum. 2011. “Does Discovery-Based Instruction Enhance Learning?” Journal of Educational Psychology 103 (1): 1–18. Burgdorf, J., J. Panksepp, & J.R. Moskal. 2011. “Frequency-Modulated 50 kHz Ultrasonic Vocalizations: A Tool for Uncovering the Molecular Substrates of Positive Affect.” Neuroscience & Biobehavioral Reviews 35 (9): 1831–36. Dore, R.A., E.D. Smith, & A.S. Lillard. 2015. “How Is Theory of Mind Useful? Perhaps to Enable Social Pretend Play.” Frontiers in Psychology 6. http://journal.frontiersin.org/article/10.3389/fpsyg.2015.01559/full. Fisher, K.R., K. Hirsh-Pasek, N. Newcombe, & R.M. Golinkoff. 2013. “Taking Shape: Supporting Preschoolers’ Acquisition of Geometric Knowledge Through Guided Play.” Child Development 84 (6): 1872–78. Fisher, K.R., K. Hirsh-Pasek, R.M. Golinkoff, D.G. Singer, & L. Berk. 2010. “Playing Around in School: Implications for Learning and Educational Policy.” In The Oxford Handbook of the Development of Play, eds. P. Nathan & A. Pellegrini. New York: Oxford University Press. Golinkoff, R.M., & K. Hirsh-Pasek. 2016. Becoming Brilliant: What Science Tells Us About Raising Successful Children. Washington, DC: American Psychological Association. Gopnik, A. 2012. “Scientific Thinking in Young Children: Theoretical Advances, Empirical Research, and Policy Implications.” Science 337 (6102): 1623–27. Han, M., N. Moore, C. Vukelich, & M. Buell. 2010. “Does Play Make a Difference? How Play Intervention Affects the Vocabulary Learning of At-Risk Preschoolers.” American Journal of Play 3 (1): 82–105. Hirsh-Pasek, K., J.M. Zosh, R.M. Golinkoff, J.H. Gray, M.B. Robb, & J. Kaufman. 2015. “Putting Education in ‘Educational’ Apps: Lessons From the Science of Learning.” Psychological Science in the Public Interest 16 (1): 3–34. Lillard, A.S., M.D. Lerner, E.J. Hopkins, R.A. Dore, E.D. Smith, & C.M. Palmquist. 2013. “The Impact of Pretend Play on Children’s Development: A Review of the Evidence.” Psychological Bulletin 139 (1): 1–34. Pellegrini, A.D. 2009. “Research and Policy on Children’s Play.” Child Development Perspectives 3 (2): 131–36. Pellis, S.M., V.C. Pellis, & B.T. Himmler. 2014. “How Play Makes for a More Adaptable Brain: A Comparative and Neural Perspective.” American Journal of Play 7 (1): 73–98. http://files.eric.ed.gov/fulltext/EJ1043959.pdf. Schulz, L.E., & E.B. Bonawitz. 2007. “Serious Fun: Preschoolers Engage in More Exploratory Play When Evidence Is Confounded.” Developmental Psychology 43 (4): 1045–50. Sutton-Smith, B. 2001. The Ambiguity of Play. Rev. ed. Cambridge, MA: Harvard University Press. Tominey, S.L., & M.M. McClelland. 2011. 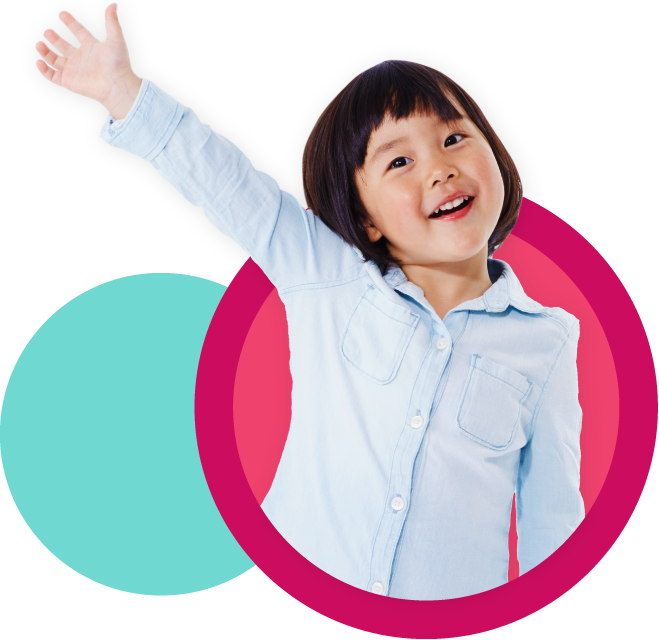 “Red Light, Purple Light: Findings From a Randomized Trial Using Circle Time Games to Improve Behavioral Self-Regulation in Preschool.” Early Education and Development 22 (3): 489–519. Toub, T.S., B. Hassinger-Das, H. Ilgaz, D.S. Weisberg, K.T. Nesbitt, M.F. Collins, K. Hirsh-Pasek, R.M. Golinkoff, D.K. Dickinson, & A. Nicolopoulou. “The Language of Play: Developing Preschool Vocabulary Through Play Following Shared Book-Reading.” Manuscript submitted for publication, 2016. Verdine, B.N., R.M. Golinkoff, K. Hirsh-Pasek, & N.S. Newcombe. Forthcoming. “Spatial Thinking: Fundamental to School Readiness.” Society for Research in Child Development Monograph series. Weisberg, D.S., J.M. Zosh, K. Hirsh-Pasek, & R.M. Golinkoff. 2013. “Talking It Up: Play, Language Development, and the Role of Adult Support.” American Journal of Play 6 (1): 39–54. Weisberg, D.S., K. Hirsh-Pasek, R.M. Golinkoff, A.K. Kittredge, & D. Klahr. 2016. “Guided Play: Principles and Practices.” Current Directions in Psychological Science 25 (3): 177–82. Weisberg, D.S., K. Hirsh-Pasek, R.M. Golinkoff, & B.D. McCandliss. 2014. “Mise En Place: Setting the Stage for Thought and Action.” Trends in Cognitive Sciences 18 (6): 276–78. Kathy Hirsh-Pasek, PhD, is the Stanley and Debra Lefkowitz Faculty Fellow in the Department of Psychology at Temple University and is a senior fellow at the Brookings Institution. She is committed to bridging the gap between research and application.